Domino’s Pizza (NYSE: DPZ) is celebrating the grand opening of its 12,000th store in the world today, in Oklahoma City. In honor of the 12,000th store, Domino’s will hold a ribbon-cutting ceremony and present a donation of $12,000to the Boys and Girls Clubs of Oklahoma County today. 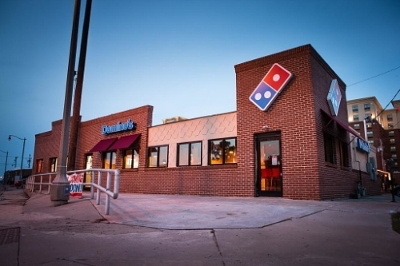 Oklahoma City franchise owners Steve Dolan and Jay Feavel will be in attendance, as well as a number of key Domino’s executives, including Doyle and Russell Weiner, president of Domino’s USA.